Earning your CDA certificate online allows for a well rounded learning experience. The program includes a number of courses ranging from cognitive and physical development to professionalism in the early childhood field. Here are some examples of what you'll learn. Scientists say the majority of the framework for cognitive development is laid very early in a person's life. If you plan to work with infants, it helps to understand what's happening during this time in life so you can nurture and educate them accordingly. This course focuses on key aspects of infant cognitive development including physical, social, and emotional milestones. After completing this course, you should be able to understand how early learning experiences affect an infant's cognitive development. You should also be able to identify the milestones that happen at every stage in an infant's development from birth to 18 months of age. In the same vein as the above course, this course also focuses on cognitive development, but it looks at toddlers rather than infants. If you are earning your CDA certificate online, this course helps to round out the offerings by focusing on this intermediary stage of early development. After completing this hour-long course, you should be able to identify the stages of cognitive development in a toddler. You should also feel comfortable discussing the factors that influence cognitive development and understand how those factors interact with emerging language development. When you understand how preschoolers' brains truly work, it becomes easier to impart knowledge and information to them. This course focuses on the brain development of children age three to five. During this hour-long course, not only will you earn 0.10 credits toward your CDA certificate online, you will also learn how cognitive development occurs in children in this age group. After completing the course, you will be able to list three ways preschoolers process information and how this processing intersects with traditional teaching methods and subjects. In addition to the above courses you will also learn how to help advance young children's physical and intellectual development through courses on developing both gross and fine motor skills for infants, toddlers, or preschoolers. To help you hone in on even more activities that promote brain development, you'll also take courses on block play as a creative learning strategy, manipulatives, and music and movement. Finally, there are also courses that are focused on specific subject areas for young children. 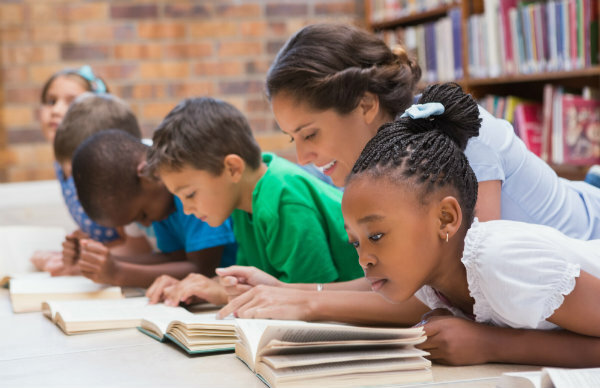 In particular, you'll learn about reading for young children, science for young children, and social studies for young children. If you are interested in earning your CDA certificate online, check out these courses and many others from ProSolutions Training online. Our courses are also useful for people who are renewing their CDA certification. To learn more, register with us today.